December 5, 2018 / Modified dec 6, 2018 3:32 p.m.
Great British Baking Show Christmas Masterclass featuring Mary Berry and Paul Hollywood. Ring in the holidays with festive programming on PBS 6, PBS 6 PLUS and PBS KIDS this December. Schedule subject to change. Check online for the latest listings. All times are for PBS 6 unless otherwise noted. Vivian Howard hosts her own vision of the season's celebrations with peanut brittle and much more. Wednesday, December 12 @ 10 p.m.
Wildlife cameraman Gordon Buchanan travels deep inside the Arctic Circle to meet the Sami people and their reindeer. Venturing out in the wilderness only with his solo reindeer for company, he hopes to capture the magical the Northern Lights. Saturday, December 15 @ 7 p.m.
Back to back holiday episodes starting with CHRISTMAS 1991 - THE FATHER CHRISTMAS SUIT, Hyacinth roars into the Christmas season and manages to get Richard into a Father Christmas outfit. Followed by CHRISTMAS 1993 - SEA FEVER, Hyacinth buys tickets for a holiday cruise on the QE2, but Onslow has won tickets for the same trip. Sunday, December 16 @ 12 p.m. This documentary tells the story of the unlikely Jewish immigrants who wrote popular Christmas music. A festive holiday special showcases the music, sights and acclaimed cuisine of New Orleans. Monday, December 17 @ 9 p.m.
Two-time Tony winner Sutton Foster and Downton Abbey's Hugh Bonneville are the featured guest artist and narrator, respectively, at this year’s Christmas concerts by the Mormon Tabernacle Choir in Salt Lake City, Utah. Friday, December 21 @ 11 a.m.
Caroline must move the family to a ramshackle farmhouse in Huddersfield in time for Christmas; Alan has a difficult conversation with Gillian, who is consumed by thoughts of the afterlife. Then, Caroline tells Gillian the truth about why she took the new headship. Gillian's mounting guilt over Eddie's death drives her to make a life-changing decision. On the night of Celia's play, a twist of fate means Alan is forced to confront his fears. Both holiday episodes air back-to-back beginning at 11 a.m.
Saturday, December 22 @ 11 a.m. Step back into the Baking Show tent as Mary Berry and Paul Hollywood demonstrate recipes, methods, tricks and tips to ensure that even the most amateur bakers can get it right at home for the holidays. Saturday, December 22 @ 7 p.m.
Back to back holiday episodes starting with CHRISTMAS 1994 - ANGEL GABRIEL BLUE, Hyacinth has been very busy planning a new kitchen (a process which includes asking the vicar whether a worktop color described as “ Angel Gabriel Blue” is accurate). Followed by CHRISTMAS 1995 - THE PAGEANT, Hyacinth decides to organize and direct a local pageant titled "Our Town in the Civil War". The Church Hall is soon in pandemonium. Join stage and singing star Santino Fontana, the Muppets from Sesame Street and the Mormon Tabernacle Choir and Orchestra at Temple Square for a concert that includes songs from SESAME STREET and inspiring arrangements of sacred Christmas music. Monday, December 24 @ 11 a.m. The entire cast is home for the holidays, and they're sharing their tips and tricks for planning a stress-free gathering, while also recounting personal holiday memories and revealing their all-time favorite holiday recipes from the Test Kitchen archives. Monday, December 24 @ 1 p.m.
Join Emmy and James Beard Award-winning chef Lidia Bastianich as she travels to the heartland of America, immersing herself in diverse cultures that provide inspiration for the holidays. Grammy-winning soprano Sylvia McNair joins the 150-voice Indianapolis Symphonic Choir and the Chamber Orchestra at The Palladium at The Center for The Performing Arts for the 25th anniversary of this holiday favorite. Renowned Dickens scholar and author Dr. Eliot Engel, crafts this entertaining study that complements every holiday schedule. Filmed in the spirit of a classic BBC-style presentation, actor David zum Brunnen portrays Charles Dickens -- and seventeen other familiar characters from the ghostly classic, A Christmas Carol. Recorded before a live audience at Orchestra Hall in downtown Minneapolis, A ST. THOMAS CHRISTMAS: SO BRIGHT THE STAR celebrates the Advent and Christmas season by drawing from a songbook of familiar traditional carols and innovative contemporary selections. Each holiday season, Tchaikovsky's magical ballet The Nutcracker is presented in a colorful production by the Ballet Theater of Indiana University's School of Music. SUGARPLUM DREAMS: STAGING THE NUTCRACKER BALLET goes behind the scenes of the 43rd annual presentation of this classic, showing the preparation, talent and sheer effort exerted to bring this production to life. Each December, hundreds of flickering candles reflect the brilliance and stunning beauty of the lovingly restored 18th-century mission church, San Xavier del Bac. This is the glorious setting for a popular annual concert that blends the Mexican, Native American and Anglo histories of this desert community. Monday, December 24 @ 7 p.m. This special episode is filled with appraisals featuring items that guests received as presents and will leave you writing your own holiday wish list. Monday, December 24 @ 8 p.m.
Tuesday, December 25 @ 9 p.m. This special stars Miriam Margoyles as Sister Mildred, who arrives unexpectedly at Nonnatus House, her hands full with four Chinese orphans. Having fled China, the child refugees were found abandoned in Hong Kong and are being adopted in the UK as part of the World Refugee Project. With Christmas preparations in full flow and the midwives busy caring for the expectant mothers of Poplar, these unexpected visitors cause joy and chaos in equal measure. Monday, December 31 @ 10:30 p.m.
A New Year's Eve tradition continues with the New York Philharmonic, led by new Music Director Jaap van Zweden, welcoming opera great Renee Fleming for an evening of elegance and sophistication celebrating the intersection of classical music and dance. From the great waltzes and polkas of Johann Strauss II to musical pearls from composers like Stephen Sondheim, Kander & Ebb, and acclaimed film composer Alexandre Desplat ("The Shape of Water"), the Philharmonic conjures the splendor and sparkle of a night at the Ball. 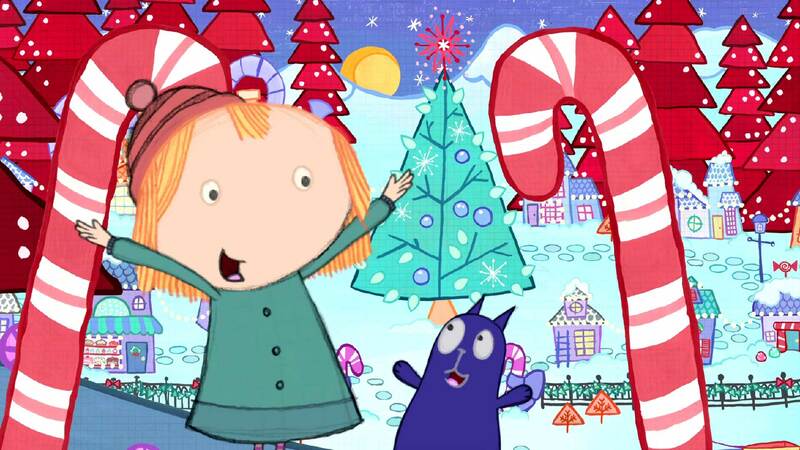 PEG + CAT "The Christmas Problem"
In this one-hour special, it's Christmas time and the Wild Kratts are taking a break from creature adventuring to celebrate. But when the Wild Kratts receive an alert that their favorite creatures are suddenly disappearing around the globe, their holiday party quickly turns into a rescue mission. Our heroes must race against time to thwart their greedy archraivals' most miserly scheme yet! Will they be able to travel to the ends of the earth and return their baby animal friends to their homes in time for the holidays? Luna explores how Christmas is celebrated around the world. Curious George and the Man with the Yellow Hat have a great time preparing for Christmas. Jet pitches an idea for the annual Boxwood Terrace Christmas Pageant, and not only is it accepted, he gets to direct it! He casts Sean, Sydney, Mindy, and Sunspot as characters in the play, and hires Mitchell Petersen to help him find this elusive thing called "Christmas Spirit." Then, Jet is looking for the Spirit of Christmas, something intangible that Sean and Sydney can't quite define. Mitchell wants to belong to the group, but doesn't know how to do it. Both kids get their answer in a heartfelt conclusion. This is a special holiday episode of Peg + Cat featuring The Christmas Problem, The Hanukkah Problem and The Penguin Problem. This series is designed to engage preschool children and teach them how to solve math-based problems with Peg, a chatty and tenacious five year-old, her feline pal, Cat and her smart, handsome, cool friend Ramone. 'Twas the Night Before Christmas, and all through Storybrook Village, not a creature was stirring...except for Whyatt, who has an important question for Santa! So the Super Readers catch up with Santa and his reindeer as they gallop from rooftop to rooftop and unravel the mystery of Santa's childhood, discovering along the way how to help spread the magic of the holiday. Duck tries to lasso a star out of the sky for Frog. Dog's present is missing letters. 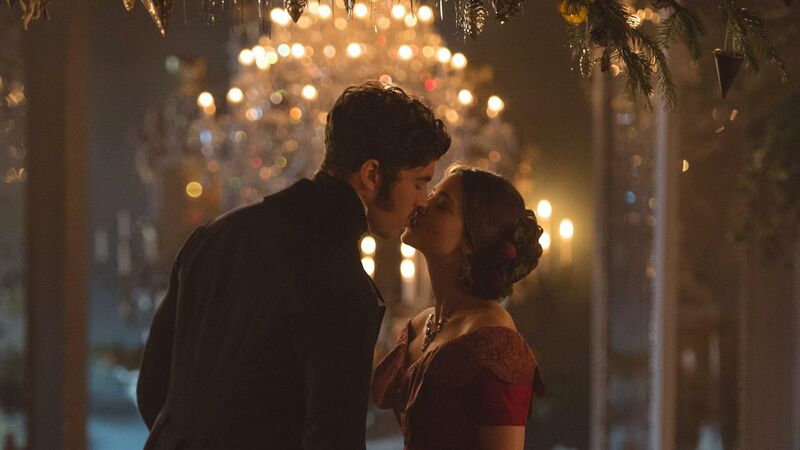 A scene from the Season 2 Christmas episode of Victoria, "Comfort and Joy." Stream these Christmas favorites whenever you like, on your schedule! Great Performances: Irving Berlin's Holiday Inn Holiday Inn tells the story of Jim, who leaves the bright lights of Broadway—as well as his fiancé dance partner Lila—to settle down at an old farmhouse in Connecticut … but life just isn’t the same without a bit of song and dance. Christmas with the Mormon Tabernacle Choir Celebrate Christmas with the Mormon Tabernacle Choir and guest artist Rolando Villazón. Christmas at Belmont 2017 Join Grammy-winning host Sheryl Crow and nearly 700 student musicians, Belmont School of Music faculty and Nashville Children’s Choir for a production of traditional carols, classical masterworks, world music and light-hearted seasonal favorites. Downton Abbey Season 5 Christmas Special The Crawleys go to a shooting party at a castle in Northumberland and return to Downton for a joyful Christmas holiday. The family's Christmas getaway proves rewarding for many. Downton Abbey Season 6 Christmas Special How will fate resolve the stories of Edith, Mary, Thomas, Anna, Robert, Cora, Daisy, Carson, Violet, Isobel and all the other occupants of this unforgettable house? Grantchester Season 3 Special It’s the week before Christmas, 1954. Vicar Sidney Chambers is engrossed with holiday duties, but distracted by an impossible situation — how can a vicar and a woman carrying her estranged husband’s baby ever make it work? Little Women Episode 2 Beth falls dangerously ill, Laurie sends for Marmee to return home. Relief sweeps over the family when Beth recovers and Mr. March returns home for Christmas. Jo hears promising news about her writing, while Meg and John Brooke’s relationship develops. Vicious Christmas Special It’s Christmas and Freddie and Stuart have invited the whole gang for a traditional Christmas dinner. The only problem is that Ash is cooking. Violet is bringing anew lover and Freddie has an incredibly demanding new acting gig (as Father Christmas). Great British Baking Show: Christmas Masterclass 2017 Paul and Mary showcase another batch of festive favorites. 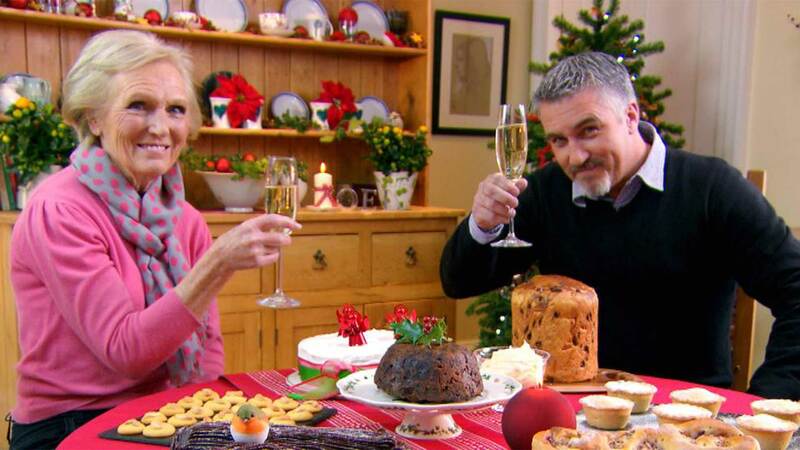 Great British Baking Show: Masterclass Christmas Mary and Paul are back to bring a generous dollop of baking cheer to Christmas. Antiques Roadshow Naughty or Nice This special edition of Antiques Roadshow features favorite appraisals from past seasons to satisfy everyone’s wish list. NOVA: Great Cathedral Mystery The dome that crowns Florence’s great cathedral of Santa Maria del Fiore — the Duomo — is a masterpiece of Renaissance ingenuity and an enduring source of mystery. Nature: Snow Bear Witness the incredible journey of newborn polar bear cubs as they learn to survive in the Arctic.